This chapter wraps up by discussing the crucial role played by public health specialists who must reconcile traditional public health concerns of health inequality and equity with safe and effective health interventions and diagnostics that meet individual health needs. Since most genetic diseases in the realm of public health are an interplay of different genetic, lifestyle, and environmental factors, genomic science has given greater emphasis to the importance of molecular and cellular mechanisms in health and disease. New biological knowledge must be integrated with the social and environmental models to improve health at individual and population levels. Public health specialists must now be able to integrate genome-based knowledge into public health in a responsible, ethical, and effective way and anticipate the increase in the health service requirements likely to occur in the future. The foundational pillars of bioethics (beneficence, non-maleficence, autonomy, and justice) must be protected by all public health stakeholders. Connecting genes and their phenotypic manifestation is complicated necessitating the translation of information about genes and DNA sequences into facts about genetic susceptibility to disease, the interaction between these susceptibilities, modifiable risk factors, and the impact of this knowledge on population health. From a public health perspective, systematic, evidence-based evaluations and technology assessments are critical to the incorporation and use of genomics in clinical and public health practice. Genetics is the science of inheritance focusing on how Mendelian inherited traits with single-mutations cause a disease. The more recent term genomics focuses on studying complex set of genes, their expression, and how they interact with other genes and the environment to affect disease development. Genomic science has given greater emphasis to the importance of molecular and cellular mechanisms in health and disease. Since most genetic diseases in the realm of public health are an interplay of different genetic, lifestyle and environmental factors, public health specialists must reconcile traditional public health concerns (like health disparities and health equity) with safe and effective health interventions and diagnostics that meet individual health needs. Once the genetic and environmental factors involved in the causation of disease and how they interact (referred to as epigenomics) is understood, public health genomics’ goal is to devise effective preventive interventions targeted at individuals with susceptible genotypes. New biological knowledge must be integrated with the social and environmental models to improve health both at the individual and population levels. Public health genomics is clearly a very interdisciplinary research field bringing together different disciplines that will include medical sciences, statistics, biotechnology, engineering, pharmaceutical research/industry, health policy, ethics, law, sociology, public health practitioners, genetic centres, governments, non-governmental organizations, and representatives of patient groups (Marzuillo et al., 2014; Zimmern & Khoury, 2017). 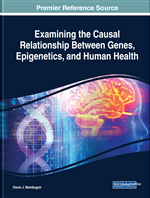 Following the completion of the Human Genome Project in 2003, the utility of genomics in improving public health education, outreach, and interventions has come into the limelight as public health practitioners in the public and private arenas reposition to provide more proactive guidance and leadership to improve population and community health outcomes. Public health specialists must now be able to integrate genome-based knowledge into public health in a responsible and effective way and anticipate the increase in the health service requirements likely to occur in the future. Public health agencies must work out feasible ways to access and analyse the results of genome-based research and technologies and identify information gaps at both individual and population levels to allow the formulation of appropriate policies to guide evidence-based interventions. Public health aims at improving the health of the entire population by implementing preventive strategies, but behind the entire population is the individual. Genomic Biobanks: A collection of biological samples of genetic data for use in research. Public Health Practice: The application of public health sciences to improve the overall health of the public. Direct-to-Consumer (DTC) Genetic Testing: Genetic testing marketed to consumers without the direct involvement of a healthcare professional. Epigenomic Profiling: A process used for disease stratification and for personalized medicine made possible by the epigenetic changes that occur in the genome. These include DNA methylation and post-translational histone modifications or chromatin restructuring. Public Health Specialist: Health professionals that focus on prevention of disease and work towards creating conditions where populations can be healthy. Epidemiological Studies: The study of distribution of disease in populations and the application to improve the health outcomes of those populations. Genomic Biomarkers: DNA or RNA characteristic that can be used as an indicator of normal biological processes, pathogenic processes, as well as response to interventions. Health Disparities: Higher burden of illness, injury, mortality, or violence experienced of socially disadvantaged populations. Genetic Exceptionalism: The notion that genetic information is unique and should be treated differently from other medical information. Clinical Health Practice: The application of health sciences in interventions designed to enhance the well-being on an individual. Health Equity: Occurs when every person has the opportunity to reach their fullest health potential. Big Data: Stored data sets that can be manipulated and analysed to develop new interventions. Translational Research: Improvement of health outcomes through conducting systemic reviews of genomic studies to address medical needs. Evidence-Based Intervention: Practices or programs that have documented empirical evidence of effectiveness. Precision Medicine: Customized medical care that is tailored to each patient’s individual characteristic.